The Transparency Code for Smaller Authorities was issued in 2014 to provide accountability for smaller authorities with a turnover of under £25,000 that were and are exempt from a routine external audit under the new Local Audit and Accountability Act 2014. The Transparency Code does not exempt smaller authorities from their reponsibilities under the Freedom of information Act 2000 but the Freedom of information Act 2000 requirements would already be met via the authorities’ publication Scheme. To introduce the council and expain what it does. To provide information that is useful for local residents, local businesses and tourists. To provide council contacts information. 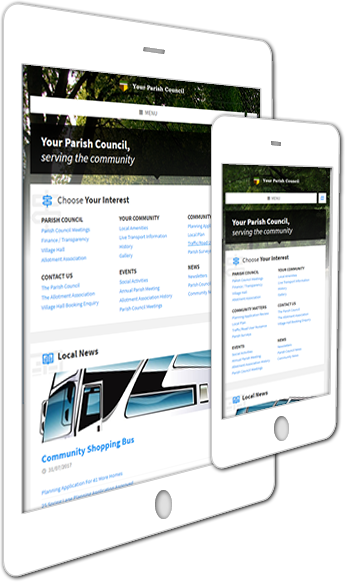 We have a design approach to meet the requirements of the Transparency Code for Smaller Authorities and to allow for the upgrade of the website (either by ourselves or the council). For example, additional information could be added incrementally to cover the the Council’s publication scheme for the purposes of the Freedom of Information Act 2000. Alternatively you can click on the arrows above for summaries of the more complex solutions that we offer. The website provides general explanatory context to the information to make it understandable for the general public, so you don’t have to prepare all the content. 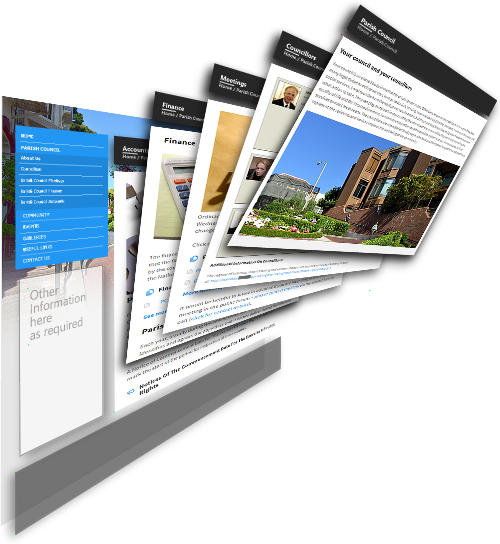 The information that you will add to the website is typically contained in pdf copies of the normal documents produced by the council and so there is no rekeying of information or duplication of effort. An overview of the activities of the council. explanation of the balances carries forward and current assets. Council meeting schedules, agendas and minutes. Parish meeting agendas and minutes. Public Land and Building asset registers. use of a village hall. 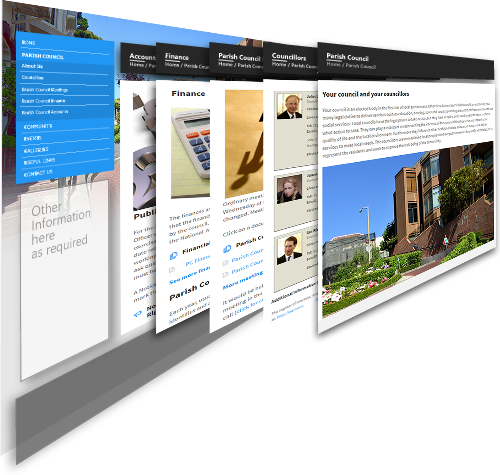 Notices, reports and galleries for cultural, sporting, social or other community events or interests. responsive i.e. designed for phones and tablets as well as laptops and desktops.